If you search "Lily Collins" on Google, a laundry list of accomplishments will populate the page: She's a Golden Globe–nominated actress, the spokesperson for Lancôme, a model for Teen Vogue and Glamour, the daughter of legendary musician Phil Collins, and the unofficial patron saint of fierce eyebrows. 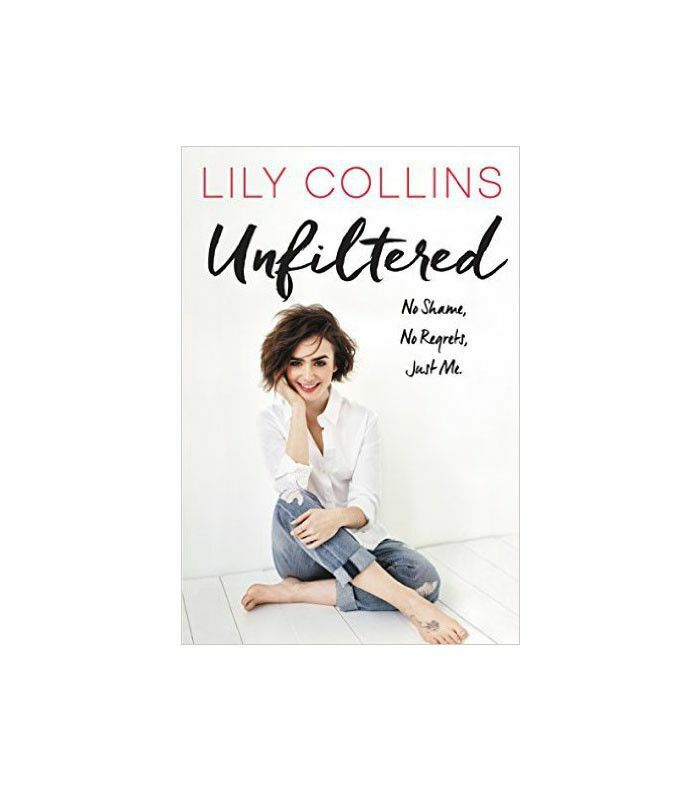 But the British actress's self-perception hasn't always reflected her many accomplishments; a struggle that she bravely chronicles in her brand-new book of personal essays, Unfiltered: No Shame, No Regrets, Just Me. A poignant account of her experience with anorexia, bulimia, and body image, Collins's work is a visceral reminder of the threads that connects us all: humanity, empathy, and the realization that hardships do not discriminate. "As a young person going through something hard, we think that we're alone," Collins told our sister site Byrdie. "We think that we're the only ones going through these things; but in fact, if we were just more vocal about how we were feeling and where our thoughts are coming from, we'd realize that these are things that a lot of people go through." Open communication coupled with self-acceptance has enabled the 27-year-old to slowly dig herself out of her well of insecurities, a process that has taught her a lot about self-love and how to cultivate it. Her number one tip? Surround yourself with people who lift you up. "I have always loved and relied heavily upon my friends and my mom to stabilize and ground me, whether it's insecurity with work or how I feel about myself, emotionally or physically," she explains. "If I feel insecure in any way, shape, or form, I reach out to the people who matter most to me, whether that's FaceTime, a phone call, or hopefully being able to go out and have coffee or dinner with them. I don't even need to bring up what I'm feeling, I just need to be around them to make me smile and make me forget about whatever I'm thinking about." Pick up a copy of Collins's new book below, and share your own experience with self-love in the comments! Nicole Trunfio on How Motherhood Changed Her: "I've Never Felt So Beautiful"